Have you filled out the online surveys for all of the NASA Explorer Schools activities you have completed? It is important to fill out the surveys for each one, as filling out the surveys is the only way to receive credit for that activity. The surveys ask no more than ten questions and should take less than five minutes to complete. • Use of Teaching Materials. • Participate in Electronic Professional Development (Live or On-Demand). 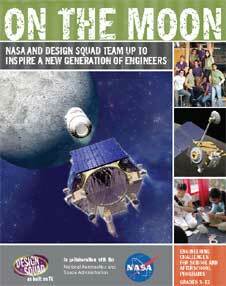 • View a NASA Now Event. If you fill out the surveys, we will know that you have used the NES Resources and you become eligible for NASA recognition. Additionally, the surveys offer you the opportunity to give us feedback on NES resources. We place great value on the comments we receive from teachers and will use this information to make improvements to the NES selection of resources. Are you unsure of where to find the surveys? Each Virtual Campus page for the Teaching Materials, Electronic Professional Development videos, and NASA Now events has a unique survey button located on the bottom right-hand of the page, indicated by an easy-to-spot yellow clipboard symbol. Log onto the NES Virtual Campus today and fill out surveys for any activities you already have completed. Also remember to do so for all activities now and in the future. We are looking forward to receiving your feedback! In this installment of NASA Now, meet associate International Space Station program scientist Tara Ruttley, who talks about the complexity of conducting research on this one-of-a-kind orbiting science lab. In addition to the challenges of research in microgravity, Ruttley discusses many of the benefits gained by these experiments in helping to sustain life in space as well as enhance life on Earth. The program focus is on biology and biotechnology experiments being conducted on Expedition 26. In this NASA Now episode, Dr. Daniel Patnaude, Astrophysicist at the Harvard-Smithsonian Astrophysical Observatory, talks about how his team discovered the baby black hole, why this is important and how black holes create tidal forces. Throughout his discussion, Patnaude dispels many common misconceptions about black holes and the nature of the environment surrounding the feature. The Chandra X-ray Center is operated for NASA by the Harvard-Smithsonian Astrophysical Observatory. Recently, the team at the observatory, led by Dr. Patnaude, used data from the Chandra X-Ray Observatory to discover the youngest black hole known to exist in our cosmic neighborhood. The last week of January every year brings us the opportunity to reflect on the sobering realities of our space exploration enterprise. Each time men and women board a spacecraft, their actions carry great risk along with the opportunity for great discoveries and the chance to push the envelope of our human achievement. Today, we honor the Apollo 1, Challenger and Columbia crews, as well as other members of the NASA Family who lost their lives supporting NASA’s mission of exploration. We thank them and their families for their extraordinary sacrifices in the service of our nation. This year marks the 25th anniversary of the loss of Challenger — a tragedy that caused us to completely re-think our systems and processes as we worked to make the shuttle safer. The nation will never forget Jan. 28, 1986, nor its indelible images. The astronauts in that crew were personal friends of mine, as were the astronauts aboard Columbia when it was lost. The Apollo I crew perished while I was studying at the Naval Academy, and I mourned their loss in the line of duty with the nation. These brave men and women will always be a part of us, and we are still building on their legacies. NASA has learned hard lessons from each of our tragedies, and they are lessons that we will continue to keep at the forefront of our work as we continuously strive for a culture of safety that will help us avoid our past mistakes and heed warnings while corrective measures are possible. In memory of our colleagues, I ask the NASA Family once again to always make its opinions known and to be unafraid to speak up to those in authority, so that safety can always be our guiding principle and the sacrifices of our friends and colleagues will not be in vain. On this Day of Remembrance, as we honor our fallen heroes with tributes and public ceremonies, I will take part in a wreath-laying ceremony at Arlington National Cemetery. Across the country, flags at NASA Headquarters and the NASA centers will be flown at half-mast in memory of our colleagues lost in the cause of exploration. The legacy of those who have perished is present every day in our work and inspires generations of new space explorers. Every day, with each new challenge we overcome and every discovery we make, we honor these remarkable men and women. Please join me in working to fulfill their dreams for the future. The lesson from the NASA Explorer Schools module Lunar Nautics: Lunar Base Supply Egg Drop makes a great family night activity. Students and their parents design and construct a package for the raw egg payload. The package should allow the raw egg payload to be recovered unharmed (both the shell and yolk should be intact) when dropped from a second story (height of at least 9.144 meters). Ask the local fire department to bring a ladder and drop the eggs from the ladder. 2012-Beginning of the End or Why the World Won&apos;t End? Remember the Y2K scare? It came and went without much of a whimper because of adequate planning and analysis of the situation. Impressive movie special effects aside, Dec. 21, 2012, won’t be the end of the world as we know. It will, however, be another winter solstice. Much like Y2K, 2012 has been analyzed and the science of the end of the Earth thoroughly studied. Contrary to some of the common beliefs out there, the science behind the end of the world quickly unravels when pinned down to the 2012 timeline. Click here to read how NASA scientists answer several questions that are frequently asked regarding 2012. A NES Champion is a NASA Explorer Schools participant who shares the resources and opportunities of NES by encouraging other teachers to get involved by promoting NES by word of mouth, showing teachers the Virtual Campus, sharing NASA Now videos or promo videos, and distributing promotional flyers and/or presentation materials. NES Champion Teachers can earn points in the “Community Engagement” category of the Recognition application by building awareness of NES and NASA opportunities within their schools, districts, professional networks and communities. They can highlight these efforts in their application to receive NES Recognition and be selected to participate in a unique NASA experience. One of the challenges in education is to modify an activity to address objectives in multiple subject areas, challenging students to use skills from different subject areas to solve a problem. NASA Explorer Schools educator Chris Deleon at Hudson Middle School added a twist to the On Target content module that reached beyond the fundamental standards the activity covers. Read how Chris incorporated a mathematics component into the NES module On Target to give his students a better sense of what it would be like to work for NASA and solve a very complicated problem. Chris’ modification is documented in the On the Moon Educator Guide: On Target forum in NEON. As the Space Shuttle Program nears retirement, NASA is looking for ways to preserve the program’s history and inspire the next generation of space explorers, scientists and engineers. 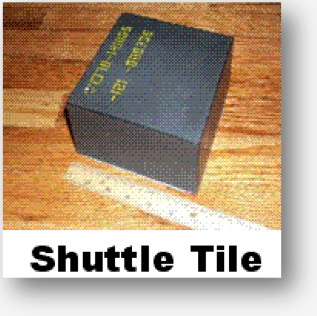 NASA is offering 7,000 shuttle heat shield tiles to schools and universities that want to share technology and a piece of space history with their students. The lightweight tiles protect the shuttles from extreme temperatures when the orbiters re-enter the Earth’s atmosphere. Click on the tile icon to log on to the request page. A login ID and password may be obtained by registering on the link provided. A Department of Education statistics tracking number (NCES for schools or IPEDS for universities) is needed to register. Hyperlinks are available to these sites to find a specific institution’s tracking number. The requests will be filled on a first-come, first-served basis. Only one tile will be given per institution. Educators are invited to register for 2-3 days of free workshop training and earn 12 to 18 hours toward continuing education units. The Embrace the Challenge to Innovate workshop explores engineering design challenges, problem-based learning activities, distance-learning modules, inquiry-based lessons and hands-on projects. The workshop takes place from March 1-3, 2011, at Whitewater Middle School in Charlotte, N.C.
Click here for additional details and registration information.